Bomb shelters seemed like a good option to survive a nuclear apocalypse in the 20th century, but when it comes to mankind’s 21st century survival needs, they just don’t cut it. The Vivos Group, a California-based “life assurance” company, is planning on building a network of underground shelters in the US, Europe, South America and Australia to ensure that humanity can survive a variety of doomsday scenarios that may occur in the future. Unlike a bomb shelter, which typically houses a small number of people, the Vivos Group’s shelters are designed to house communities of up to 5,000. According to the company’s site, the shelters will include “complete and fully furnished living quarters, with semi-private bedrooms, deluxe bathrooms, kitchen and dining areas, spacious lounges and meeting areas,” among other amenities. Larger shelters will also include medical and dental care centers. 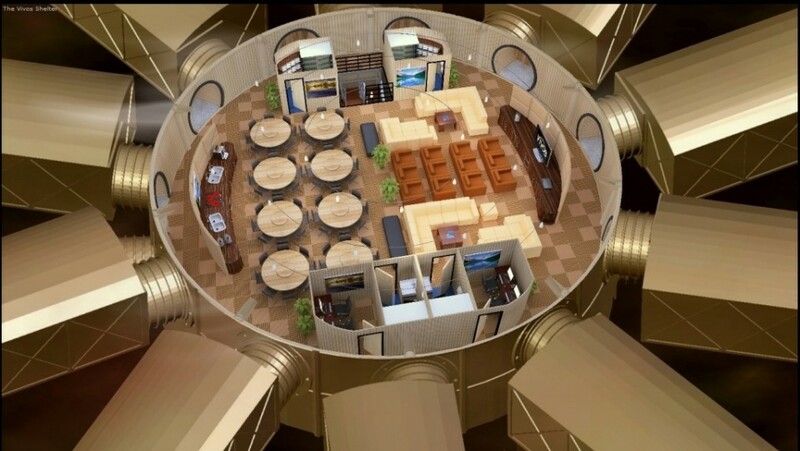 Beyond a 20-megaton nuclear blast, the ultra-lux bunker is capable of withstanding a 1,250 degree fire, 450 mile-per-hour winds and a magnitude-10 earthquake (for context, 195 mile-per-hour winds were experienced during Typhoon Haiyan in 2013 while the 2004 Indian Ocean earthquake was a magnitude 9.1). While luxury accommodations can cost you up to $35,000, there is an economy class bunker that costs under $10,000. Is it worth it? Judging by the long list of doomsday scenarios that appears on the Vivos Group website — everything from a super volcano eruption to the disastrous effects of Planet X are included — it’s money well spent.